We offer a variety of other services. When a van is booked in for a full day van conversion then we can offer to supply & fit the basic electrics. 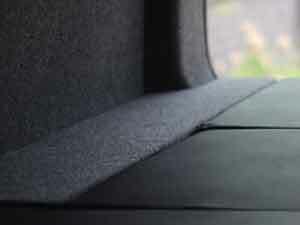 We offer the service to fit customer’s own supplied seats with fittings. We can lower your VW T4 & T5. We have access to an excellent range of alloy wheels for your van. 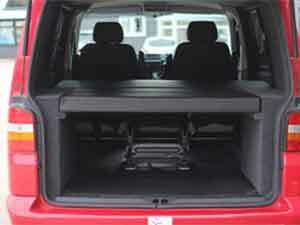 Using your genuine VW seat, we can create a seat/bed system with storage.